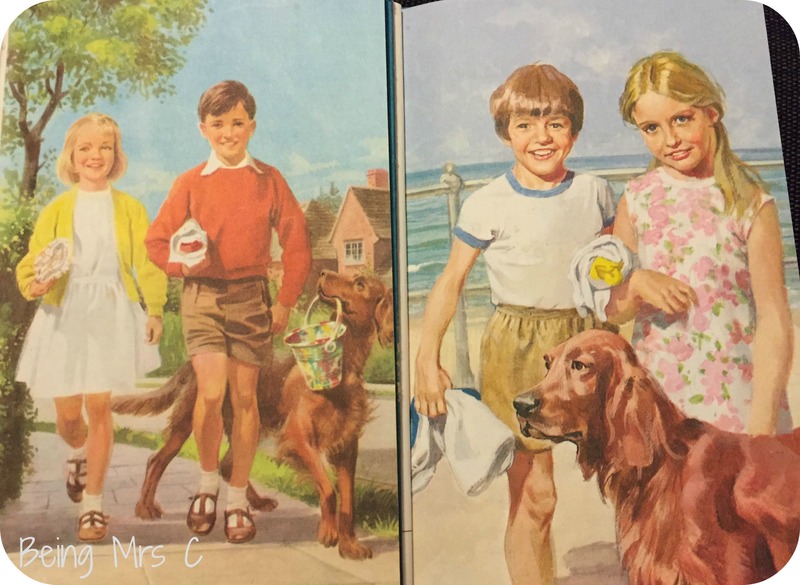 2015 is the hundredth anniversary of Ladybird books and that means there’s likely to be many more appearances of Ladybird books in the media. 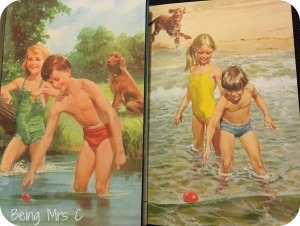 It’s a shame therefore that last week’s Ladybird Tuesday went AWOL, but I hope this week’s will make up for it. 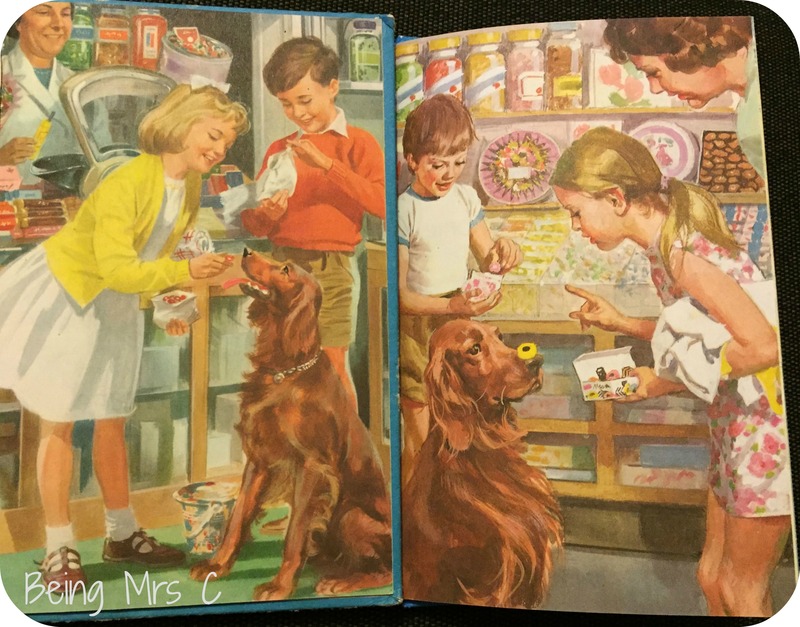 BBC Breakfast posted this video on its Facebook page earlier today and I thought it therefore appropriate to choose something from the Ladybird Key Words Reading Scheme for this week’s Ladybird Tuesday. I’ve gone with book 2a We have fun as it’s one of the series where I have copies of both the original version and the updated 1970s one, which is the one I remember from my 1980s childhood. The text of the two books (by W Murray) is identical, but the illustrations have been significantly updated between the two versions. 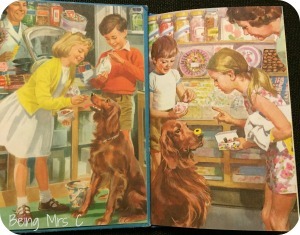 Martin Aitchison was responsible for the first version, but Harry Wingfield was brought in to illustrate the 1970s version. As mentioned on the BBC video, the look of Peter and Jane has changed with time, but that’s not all. It’s interesting to see that the context of the story is slightly different too. In the first version Peter and Jane are playing in the water in what looks like a river and it is suggested that they may be there alone with their dog Pat. 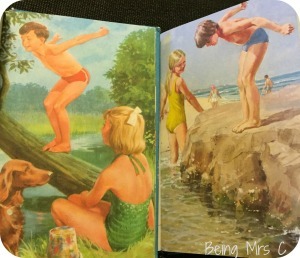 By the later version of the book they are instead playing in the water at the seaside and there are other people to be seen in the background of some of the pictures. 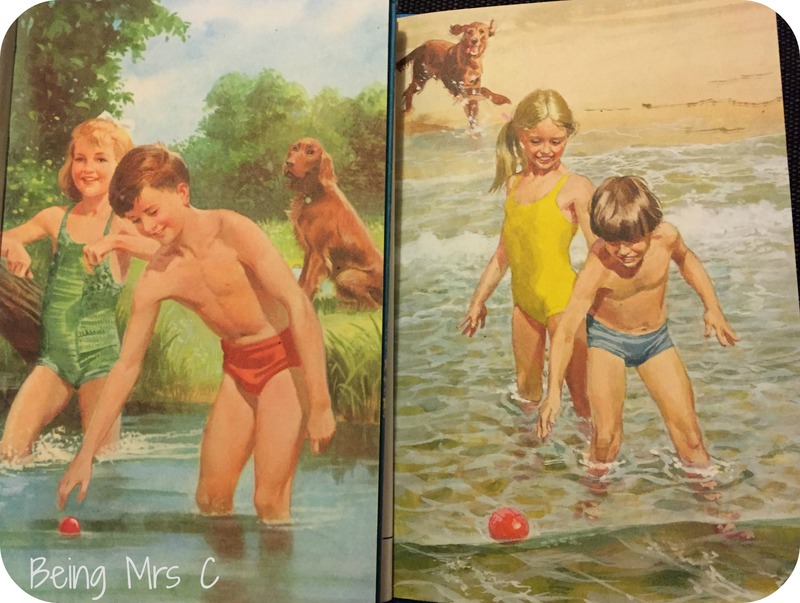 I’m assuming that a decision was made at Ladybird to move the children to a safer location rather than encouraging children to play alone in water. I remember learning to read with the Peter and Jane books and I think that the whole way of learning to read with the Key Words Reading scheme is so much simpler than the phonics system that Little Miss C is using at school at the moment from a parent’s perspective. 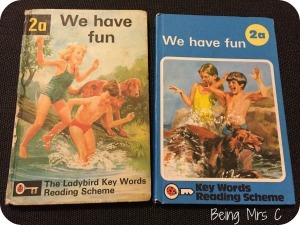 With Key Words the whole scheme was explained in one book that Ladybird produced called Teaching Reading, but most of it was pretty straightforward. In phonics children are taught how to make the sounds of letters when they are found in different combinations. LMC’s school did an evening session on this for parents and I have to admit that when I came away I could understand the logic behind it all, but I really struggled with the sounds that certain letter are supposed to be. I’m not sure if it’s because I still speak with a northern accent and pronounce words in a northern fashion, yet we currently live in the south, or whether my ears just aren’t as tuned in to all the different sounds that the teachers were making as examples to us. Whatever your views on the way that children are taught to read today though, thousands of children did learn to read using the Key Words Reading Scheme and as a result it really holds a place in the heart of so many of us. 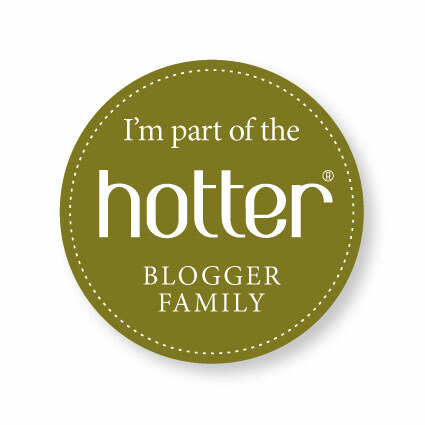 Thanks for joining in again Jennifer. As you say Key Words does just seem to make more sense, but yet phonics seems to work too. Just glad I’m not having to learn it all again if you see what I mean. I taught the boys their first reading skills using the sounds of the letters…i.e. c a t said quickly is cat! Some got it more easily than others!